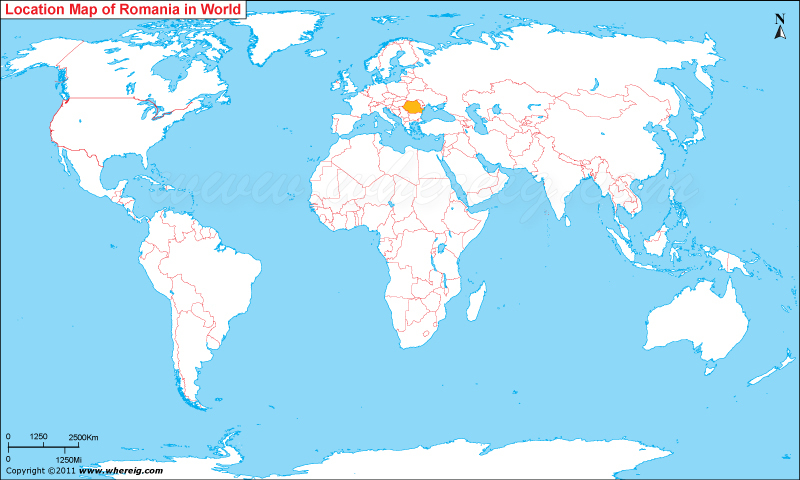 Where is Romania located on the world map? The given Romania location map shows that Romania is located almost central and south-eastern Europe continent. Romania map also shows that the country shares its international boundaries with Bulgaria in the south, Hungary and Serbia in the west, and Ukraine and the Moldova in the northeast. Besides, in the east, it has coastline along with Balck Sea. Bucharest is the capital city as well as the largest city of the country. The government type of Romania is a unitary semi-presidential republic featured with parliamentry democracy. Besides, Romania is a member of NATO, the Latin Union, the Francophonie, the OSCE, and the United Nations. The climate type of Romania is range from temperate to continental featured with four distinct seasons. Along with the various potential sectors, Romania tourism is also growing fast and becoming one of the major sectors of Romanian economy.